The critical membership is the membership in God’s family through faith in Jesus Christ. When I confess my sins to God and trust that Jesus Christ, the God-man, died for my sins on the cross, and rose from the dead, I have forgiveness of sins and a place in His family. Then I am a part of the Holy (because my sins have been forgiven) Christian Church, which consists of all who believe in Jesus. In addition to this joyful fellowship with all believers, God would have me gather with fellow Christians in a local congregation to grow in the knowledge of God’s Word, the Bible, and my relationship to Jesus. He also wants to teach me how to live a life that pleases Him. And He wishes that I share the message of His forgiveness and life with others who don’t know Him. The Bible uses the picture of a body to explain certain aspects of the Christian Church. Jesus is the head of the body, being its Savior (Ephesians 5:23, 29-30). We are all members (parts) of this body, with various gifts and abilities to serve Him (I Corinthians 12:1-11). In this body we are to care for each other in Christian love. “If one part suffers, every part suffers with it; if one part is honored, every part rejoices with it” (I Corinthians 12:26). God’s intention is that you also become a part of a local congregation of believers who love, learn from and serve our Lord Jesus, as well as care for one another. 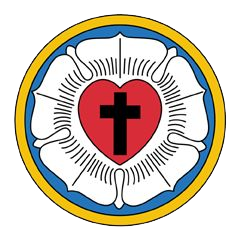 Trinity is a congregation of the Lutheran Church – Missouri Synod. A “synod” is a group of congregations which walk together in the same teachings. “Missouri” is a part of our name simply because some of the founders of the Lutheran church in America settled near St. Louis, began a seminary to train pastors and built our church’s headquarters there. The “Missouri Synod” stands on the conservative side of the Lutheran Church in that it affirms that all the Bible is the word of God, all the miracles of the Bible truly took place, and that God has miraculously saved us through the death and resurrection of the body of our Lord Jesus Christ. To become a member of Trinity is, at the same time, to become a part of the Lutheran Church – Missouri Synod. It is to your benefit, then, to learn the main teachings of the Bible and – so also – of our Synod so that you have a solid foundation of Bible truth and can wholeheartedly confess these teachings within and outside the walls of our church. If you are wanting to learn more about the Christian faith and its main teachings, or if you want to discover more about Trinity and the Lutheran Church – Missouri Synod, or if you want to consider joining this congregation of believers, you will want to take part in our That I May Know Jesus class. The class is taught by Trinity’s pastor. It has fifteen sessions of one hour in length. It is a pleasure to teach, and those who have taken it in the past have often said how much they liked it. God, Creation, the Bible, the Ten Commandments and Sin, Jesus our Savior, Salvation by Faith Alone, the Holy Spirit, Baptism, the Lord’s Supper, Death, Everlasting Life, the End of the World, Prayer and more. The basic text for the class is the Bible. Those who attend will also receive a free copy of Martin Luther’s Small Catechism, as well as a notebook. No one is required to read or speak publicly. You may, however, ask as many questions as you like. There is no cost. And you are welcome to bring a friend. To learn more about the class, please speak with our pastor.